The Tongariro River is a dam-controlled river which enables us to raft all year round, sadly there are some sacrifices that have to be made in order to have that happen – when the hydro dam was built, a portion of the river was re-routed underground. However, twice a year the wonderful people at the power company ‘release’ the water from the dam which floods that particular area we call Access 14. The flooding of the otherwise dry section of the Tongariro River creates rare Grade 4+ rapids – an absolute wild ride. It also returns the Tongariro River to its natural levels – the levels, current and rapids that our forefathers (Tupuna in Maori) would have experienced the Tongariro River at, before the age of industrialisation. This makes our Access 14 trip even more spiritual for local New Zealanders as well as our international whanau (family) that want to experience an otherwise once-in-a-lifetime Adventure. Our professional guides make sure you remain as safe as possible on this adrenaline fuelled rollercoaster ride - Access 14. 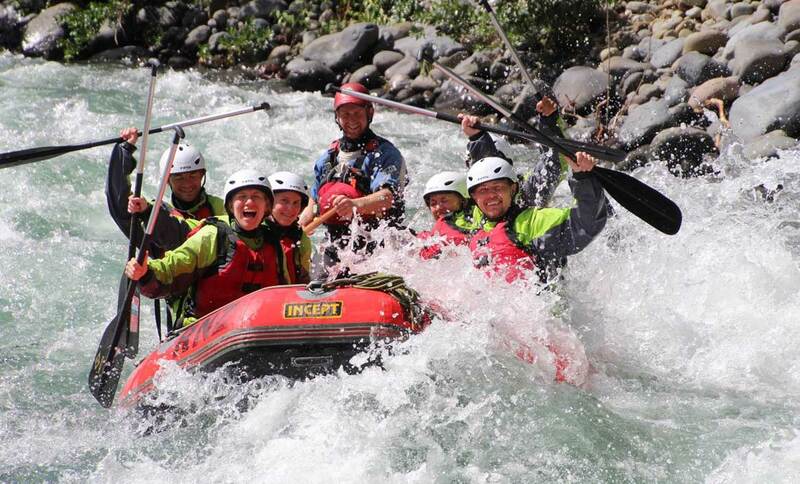 This is an incredibly rare opportunity to experience one of the most natural, untouched river environments in New Zealand and an authentic experience riding the fine line between fear and adrenaline rush best given to you by New Zealand’s best, safest and most awarded rafting company. To book early as places on the trip book fast!